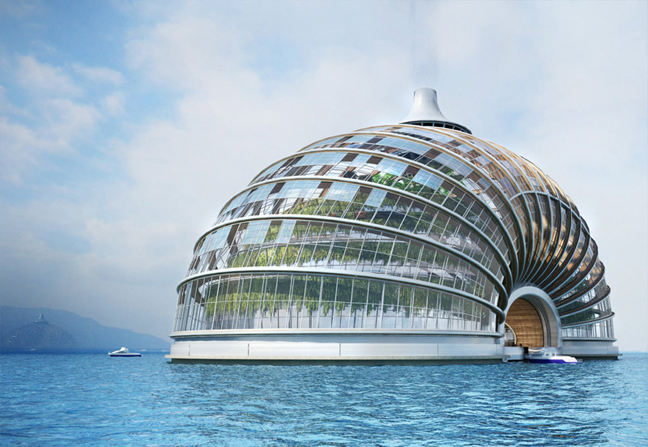 Designed by Russian architectural firm Remistudio, Ark project can be said the modern and futuristic Noah’s Ark. It’s been designed to answer the main concerns in our time: precautions against extreme environmental conditions and protection of natural environment from human activities. 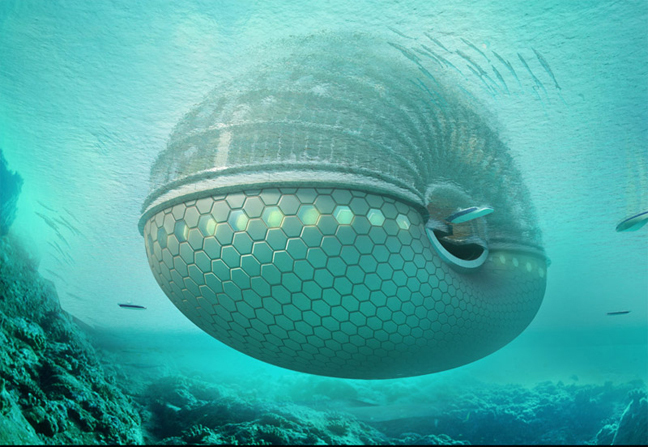 This floating hotel is a self contained haven in case of disaster such as floods caused by the rising of the sea levels. This project was designed on the basis of international experience received from the UIA Work Program Architecture for Disasters Relief and according to the concept of a bioclimatic house with independent life support sources. The ark’s shell like construction of arches and cables will evenly distribute the weight to keep it invulnerable to earthquakes. In such buildings provision is made for an independent life support system including elements ensuring a closed functioning cycle. To provide power and water to the inhabitants, Ark project uses solar panels and rainwater collection system. All the plants are chosen based on the principle of compatibility, illumination, and efficiency of oxygen producing. 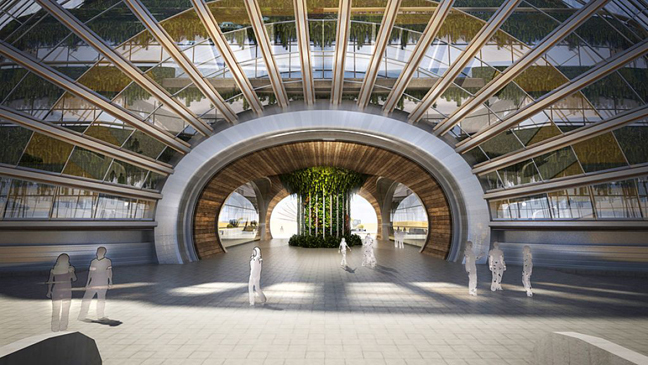 The transparent roof provides enough light for plants and illuminating the inner rooms to reduce the need for lighting. The balconies can be used as a recreation place or social gatherings.